Two years ago, a collective of 10 activists/sailors purchased the Albatros II, a 40ft sloop built in the sixties out of plywood and polyester resin. The boat has been used to support many kind of protests, and at some point the collective become a no-profit association, LOUNAPO, which nowadays involves about 140 supporters. This makes it much easier to afford the maintenance fees, and provides a constant flow of fresh crew during their campaign. 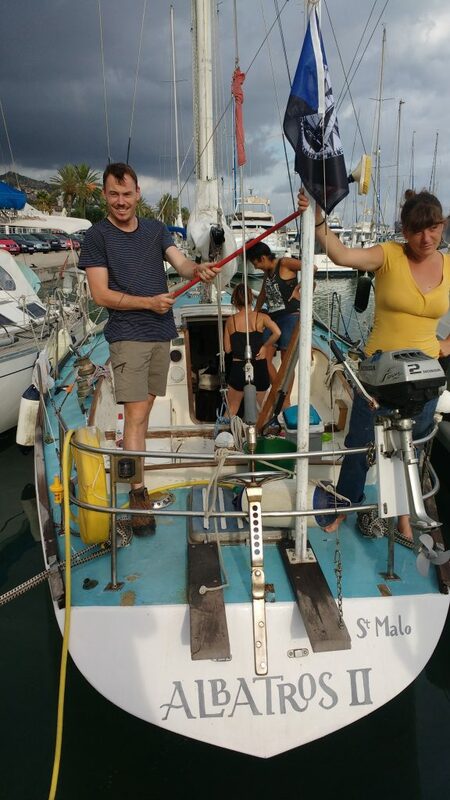 On September the 12th they sat sail from Marseilles to Tanger (Morocco) to participate to a meeting against Frontex, organized by the association Alarmphone.org . After the meeting, the boat took part to an action in the Gibraltar Strait, during which several banners “Ferries not Frontex” were shown at once from activists’ vessels and inside the line ferries. 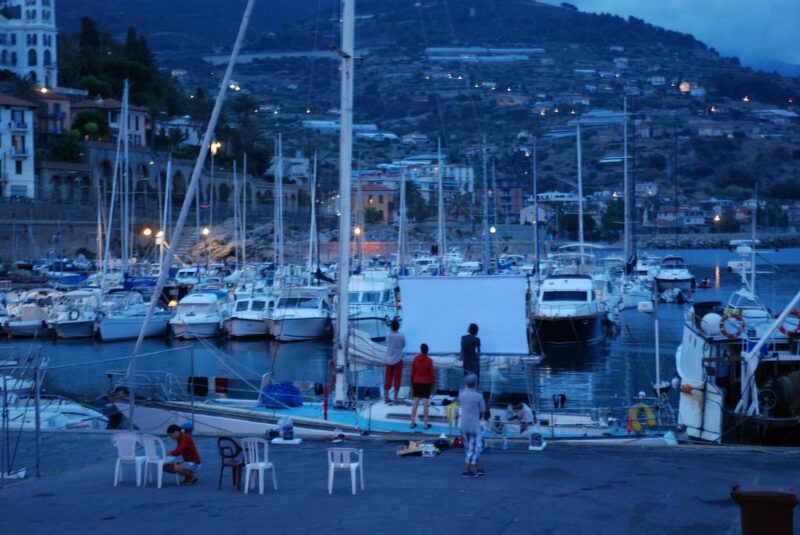 In their way back to France, they made some stop overs (Cadiz, Malaga, Barcelona) along the Spanish coast, to continue with the screenings of documentaries about migration. 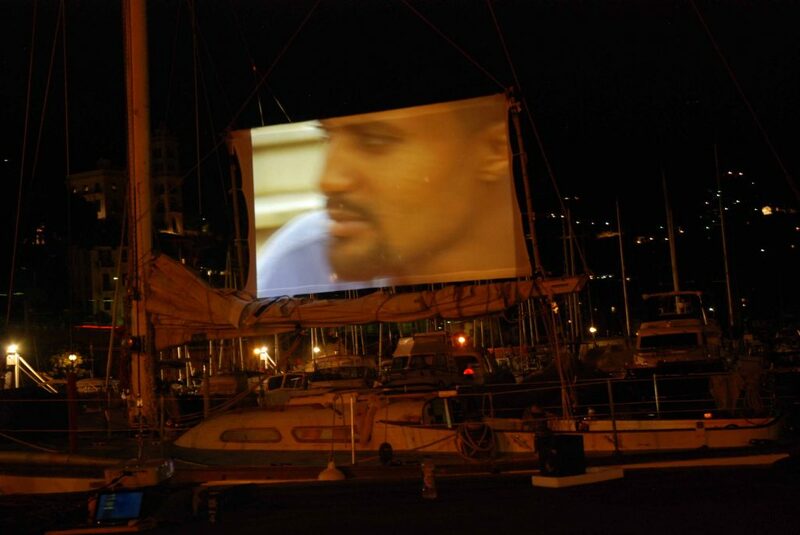 In Barcelona, for logistic and weather reasons, we decided to organize the screenings in “La Cinètika” – an amazing squatted social center located in a former ten screen cinema – instead of projecting on the DIY bamboo screen they usually rig on their mast for this purpose. The most surprising thing, from my point of view, is that LOUNAPO until now deliberately decided not to have a web-page, nor a blog, or any kind of presence on the internet…not even a logo. They wish to create links among people and to spread their ideas personally, from human being to human being. Quite against the current, isn’t it?